From charity shops to soup kitchens, volunteers underpin the social fabric of our country, improving quality of life for some our most vulnerable and giving hope to some of our most deprived. At no time is this more apparent than Christmas, when that value is brought into particularly sharp focus. And older people are the backbone of volunteering in the UK. Over-65’s make up nearly a third of all volunteers, contributing proportionally more time than any other age group. Overall, according to research by RVS, the time older people give is worth a staggering £10 billion a year to the national economy – a figure that doesn’t even take into account the instrumental role they play in informal social-care and childcare networks. Not only do older people contribute a huge proportion of the nation’s volunteering hours, they are also disproportionately important to key sectors. This is because they tend to volunteer in social services, health and welfare, all areas incidentally where we as a nation face significant funding and provision challenges. These studies and statistics make clear that without the generosity of older people our society would be much poorer. But it is important to recognise that we must not take this generosity for granted. Many older people, particularly those without cars, rely on others to be able to get to where they’re needed. That is a key reason why over recent months – alongside Age UK, the Royal Voluntary Service (RVS) and others – Greener Journeys has been campaigning to safeguard the Older Persons Bus Pass. The bus pass is regularly shown to be of enormous value to those that use them. Age UK research reveals 93% of users say losing it would adversely affect their life. 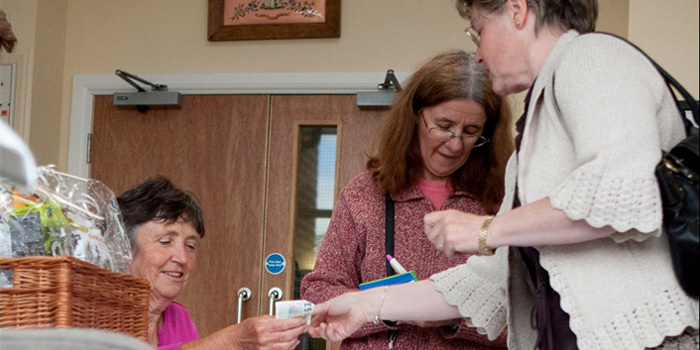 Further Age UK research suggests that without the bus pass 16% of trips currently made using it – to the shops, to volunteering, to social events – wouldn’t be made at all. This is why there would be such significant implications for us all if Government funding were to be removed or threatened. A KPMG study for Greener Journeys found that Britain would lose at least £297 million of economic benefits a year from volunteering if the bus pass were taken away – part of an overall £1.7 billion in annual net wider economic benefits currently generated by bus pass users that would be at risk. This study underlines that much of the real value of bus passes is in what they allow older people to contribute to our wider economy and society – through volunteering in particular. If we want to retain the value of this contribution for strong community, social and family networks, we must safeguard the bus pass. I agree that many volunteers would be put off if their only mode of transport was taken away because as well as helping other people by volunteering it probably benefits the person volunteering by making them feel useful to society. The bus pass also keeps bus drivers in employment as perhaps some people wouldn’t be able to afford to travel. If you live in places where there is no rail line and you have no car you would be stuck unless you can afford taxis. So I think the buss pass is a valuable and for some a lifeline. I am 59 years old . I do about 12 hours per week voluntary work. Can I apply for a free bus pass.